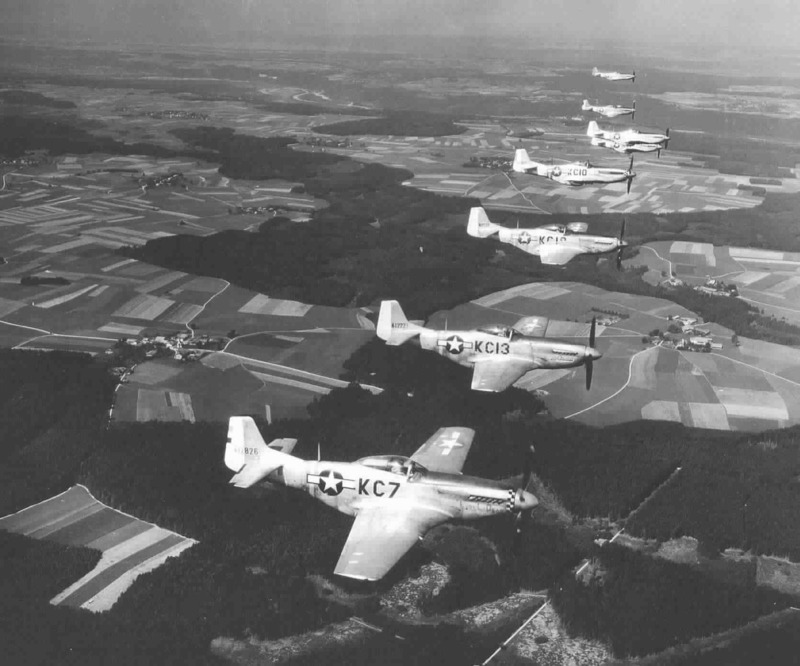 This new page is dedicated to a rather unkown period where P-51's were in use during the post-war years (1945 - 1948) in occupied Germany - a number of Fighter Groups and Tac Recon Groups were deployed to former Luftwaffe airfields, mainly in Southern Germany, and flew patrols and photo mapping mission. In 1947 the newly formed US Air Force Europe took over and the ageing P-51's (and P-47's) were replaced by jet-fighters. The aircraft then again were put into storage and many were sold to friendly Nations like France, Sweden, Italy and Switzerland. Initially, these Fighter Groups were issued high-time P-51D's because those aircraft with TT below 100 h were put in storage for possible redeployment to the Pacific Theatre - the end of the war in Japan in August 1945 prevented this from happening, and during Fall 1945 most earlier versions were earmarked for salvage / scrapping (i.e. P-51B's, P-51C's, and all P-51D's up to the D-15-NA version) and the stored P-51D-20-NA's and P-51D-25-NA's were sent as replacements. The only 'older' versions left in use were those converted for the Tac Recon rôle, i.e. 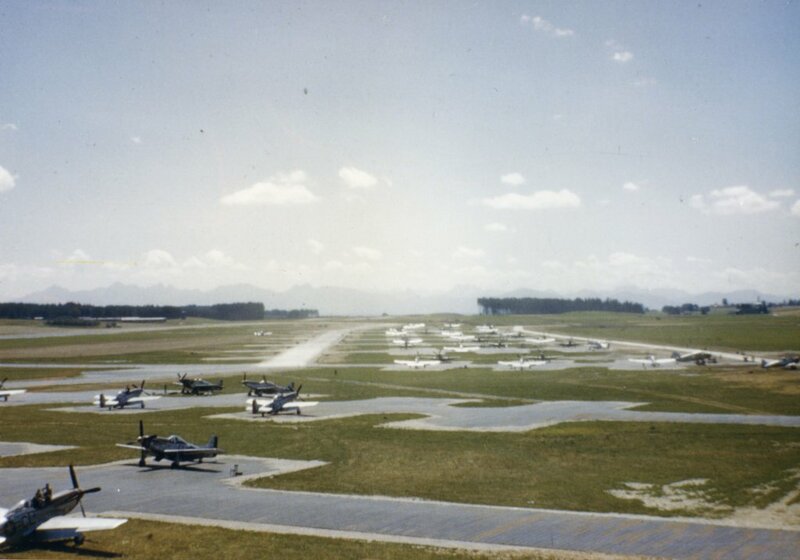 F-6C's, F-6D's and F-6K's, plus a number of airframes converted to two-place configuration. During this occupation period, the former 8th and 9th AAF units deployed to Germany saw disbandment and were replaced by newly formed Fighter Groups - in fact this was only a so-called 'paper-shuffle', since all personnel and equipment was transferred to the 'new' units, so basically only a renumbering of existing units took place.